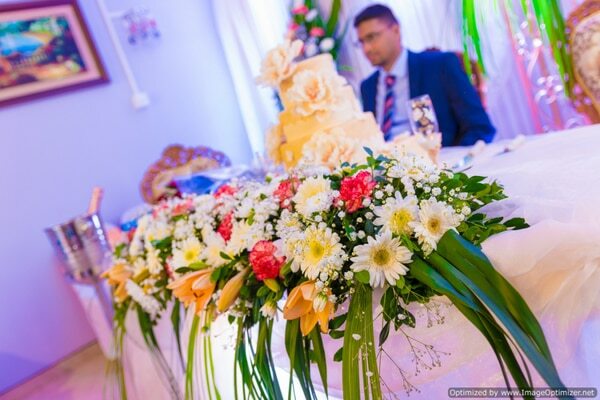 Are you looking for a best ac marriage hall in chennai? Shriee BN Marriage haall is fully centralized ac seating capacity of 700 persons, Dining hall is fully centralized ac capacity of 150 persons in ground floor, 150 persons in 1st floor , 10 ac rooms with bath attached, lift, car parking available, located in mogappiar east in Annanagar, nearer to mogappiar west, Ambattur, Padi, Villivakkam, Annanagar& Koyambedu.contact 9282230380. Are you looking for A best centralized AC marriage Hall in chennai?Shriee BN Marriage haall is fully centralized ac seating capacity of 700 persons dining hall is fully centralized ac capacity of 150 persons in ground floor, 150 persons in 1st floor, 10 AC rooms with bath attached.Lift , car parking available, located in mogappiar east very nearer to mogappiar west, Annanagar, Padi, Ambattur, & Koyambedu.contact 9282230380. Are you looking for a Best AC marriage hall in chennai?We at Shriee BN Haall is fully centralized ac marriage haall seating capacity of 700 persons, Dining hall centralized ac capacity of 150 persons in ground floor, 150 persons in first floor, 10 AC rooms with bath attached, lift, car parking available, located in mogappiar east, very nearer to mogappir, Annagar, Padi, Ambattur, Annnagar.cell 9282230380. AC Marriage hall in chennai; Shriee BN Haall is located in mogappiar east, It is fully centralized ac marriage hall seating capacity of 700 persons, Dining hall fully centralized ac capacity of 150 persons in ground floor, 150 persons in 1st floor.10 AC rooms with bath attached.Lift, car parking avilable.very nearer to Mogappiar , Annanagar, Padi, Ambattur, & Koyambedu.Please contact 9282230380. AC Marriage hall in chennai; Shriee BN Haall is located in mogappiar east in Annanagar. marriage hall is fully centralized ac seating capacity of 700 persons , Dining hall centralized ac capacity of 150 persons in ground floor.150 persons in 1st floor, 10 ac rooms with bath attached, Lift, car parking available. nearer to annanagar mogappiar east, west, Padi. Ambattur, & Koyambedu .please contact 9282230380. AC Marriage hall in chennai:Shriee BN Haall is located in mogappiar east in Annanagar is fully centralized ac marriage hall seating capacity of 700 persons, Dining hall is fully centralized ac capacity of 150 persons in ground floor, 150 persons in first floor.10 ac rooms with bath attached lift , car parking available.very nearer to mogappiar, Ambattur, Padi& koyambedu. Please contact. 9282230380. AC Marriage hall in chennai:Shriee BN Haall is located in mogappiar east, is fully centralized ac marriage hall seating capacity of 700 persons , Dining hall fully centralized ac capacity of 150 persons in ground floor, 150 persons in 1st floor, 10 AC rooms with bath attached, Lift, car parking available.nearer to mogappiar west, Annnagar, Ambattur, Padi& Koyambedu.please contact 9282230380. AC Marriage hall in chennai:Shriee BN Haaall is located in mogappiar East , marriage hall fully centralized ac hall seating capacity of 700 persons Dining hall centralized AC capacity of 150 persons in ground floor, 150 persons in 1st floor.10 a/c rooms with bath attached. lift, car parking available.Very nearer to Mogappiar east , west, Annnagar, Ambattur, Padi & Koyambedu.Please contact 9282230380.